As most of you know, I adore music. I breathe music. I feel the need to share, all types of poetry, that I find in music! So please watch this music video. It is a fabulous song, video! this is the : Civil Wars : Barton Hollow……Enjoy! Howdy everyone! While in the process of weaning off my medication, I had went back to smoking. You know the saying, trade one addiction for another. Costly! Worst, my husband also is smoking. Now that’s pricey. Bad choice in spending the money. I went back to smoking my electronic cigarette. It is a battery, Cartomizer(the filter with an electronic charge). 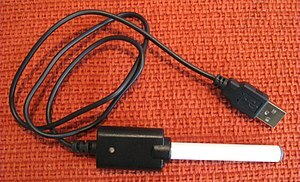 This is a device that simulates smoking. You fill the cartomizer with a non-toxic, flavored oil, and has nicotine in it. It is considered by the doctors, that know this device, that you are now a non-smoker. You do not get all the carcinogens, and added tar, or lung damage. You do not present a hazard to our non-smokers. Another great feature of vaping, is the varieties of flavors, nicotine strengths, and different styles of the battery. That is the Stealth Vapor King. I also have the Diamond Vapor King, in several colors. It has what appears to be a jewel at the end, and when you use, the jewel lights up. I just love the Foo-Fighters! So I’ve probably posted this video before, but now my friends, its encore! My favorite song/video in Classic Genre Moody Blues : Nights in White Satin! Please sit back and have a listen.